As Seen on TV, and Featured in the 2017 in Ripley’s Believe It Or Not!!! BookCome one, come all, to the retro, twisted, and charming 20 Penny Circus. In the grand tradition of vaudeville's sketchy back alleys, the 20 Penny Circus specializes in entertainment for those with questionable taste. A variety show for grown ups, it's full of strange feats, insane illusions, cunning stunts, and your favorite socially-inappropriate clowns. 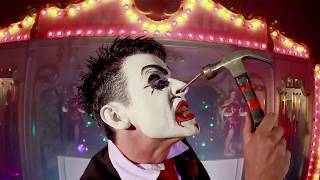 Acts include sword swallowing, instantaneous teleportation, ritualized mutilation, and other stunts designed to test the limits of the human body, all backed with a soundtrack that is sure to rock faces.